Maintaining healthy nails is integral to healthy feet. A nail is a hard, enveloping cover found at the end of finger and toe appendages of the body. It is made up of a nail plate, cuticle nail folds, nail matrix, lunula, and nail bed. This body part is made up of a tough protective protein known as alpha-keratin that is permeable and grows. The function of a toe or fingernail is to protect the fingertip and surrounding soft tissue and for functional purposes in handling objects. This is one of the most common cases we see at Healthmark Foot and Ankle. An ingrown toenail is when the corner or side of the nail plate grows into the soft tissue and flesh around the toenail. Find out more about ingrown toenails here. Fungal infections of the toenail are also very commonly treated at Healthmark Foot and Ankle. Some fungal infections can be contagious. Learn more about nail fungus here. Healthy nails are often pale pink and white having a smooth surface without any rough texture, abrupt grooves, or major cracks. 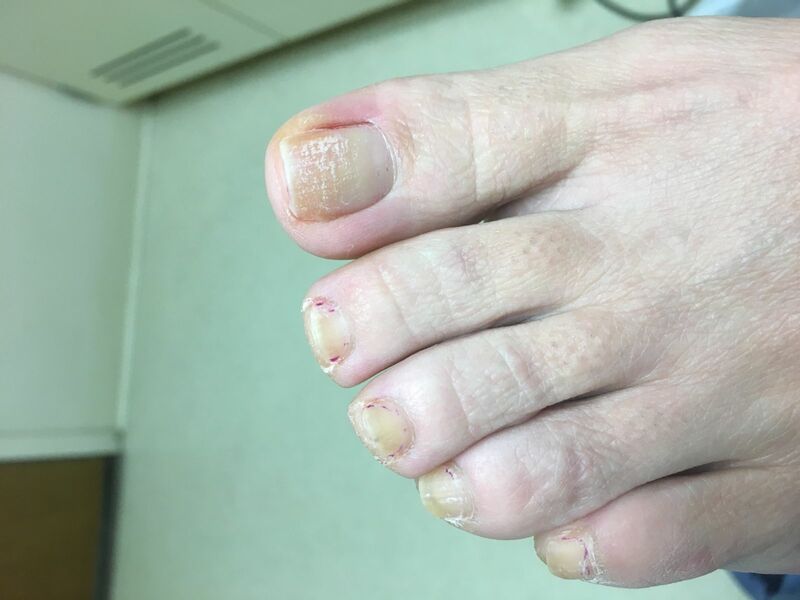 The overall health, texture, and color of the nail and surrounding appendage can help physicians diagnose larger problems aside from discoloration. Nail discoloration is often associated with lifestyle activities such as nail polish use, trauma/injury to the nail, cigarette/tobacco usage, medication side effects, hygiene, and chemical exposure such as dyes or acids. Discoloration can also be an indicator of symptoms of great health issues including infections, diabetes, melanoma, or fungus. 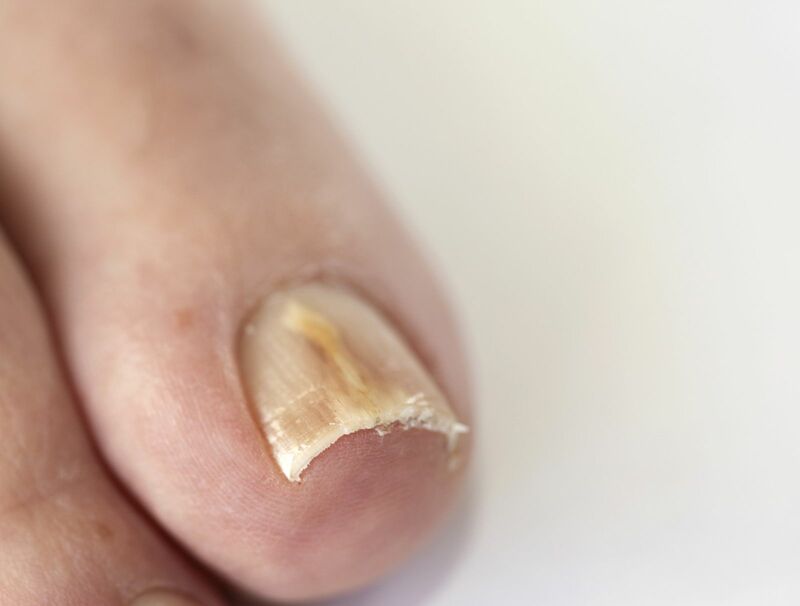 The toenail can become arched, puffed, or lifted from the nail bed. If traumatic dislocation is not the cause, this state can often be due to: psoraiasis, tinea (fungal infection), or fake nail adhesion.